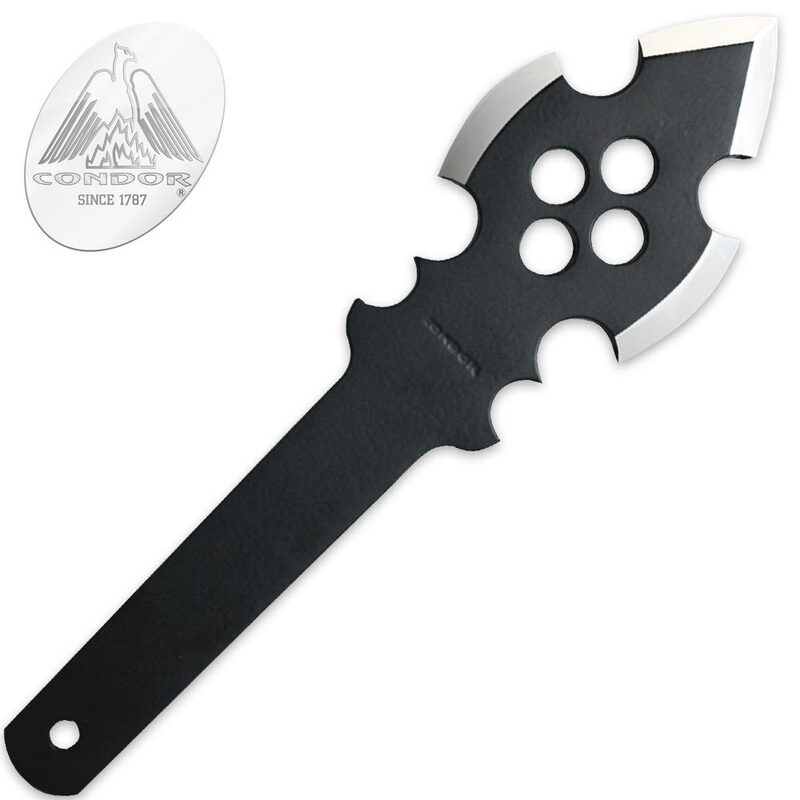 An absolutely wicked design, this tough throwing knife is forged from one piece of 1075 high carbon steel and features a rust and stain resistant epoxy powder coated finish. The point measures 1/4 in. thick! 5 1/2 in. blade, 9 1/2 in. overall. These knives signify and petrify perfectly. I'd use it in lieu of the tomahawk or axe. Not bad, I like it alot. 3 sharp edges, weighs good. No sheath or anything. I'm thinking about adding a paracord handle or something. It's from a company called Condor and I believe it's made from El Salvador. It's in Central America I believe? (It's below Mexico, above South America). It's a neat design and this will last. Great price and great customer service from TrueSwords.